Every superhero needs a home base. The “Marvel Avengers: Infinity War HQ” is the perfect place for your little superhero to being saving the world! There is some assembly required before you can begin to play. The instructions are easy to follow and it takes just a few moments to set up. The stickers are clearly labeled on the sticker sheet and in the instruction booklet, making it easy to apply them to the Hulkbuster HQ. The feet and back stabilizer are one-time snaps. The rest of the pieces can be assembled and disassembled for play and storage. The playset includes an Infinity Stone, projectile, projectile launcher, zipline, label sheet, and instructions. It stands at an at an impressive 33-inches high when opened as Headquarters and closes into a 22 inch Hulkbuster mega feature. 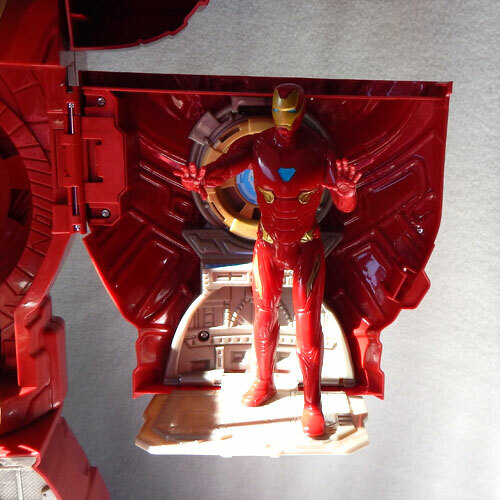 The Hulkbuster Mega figure rotates at the hip to open up into the headquarters. 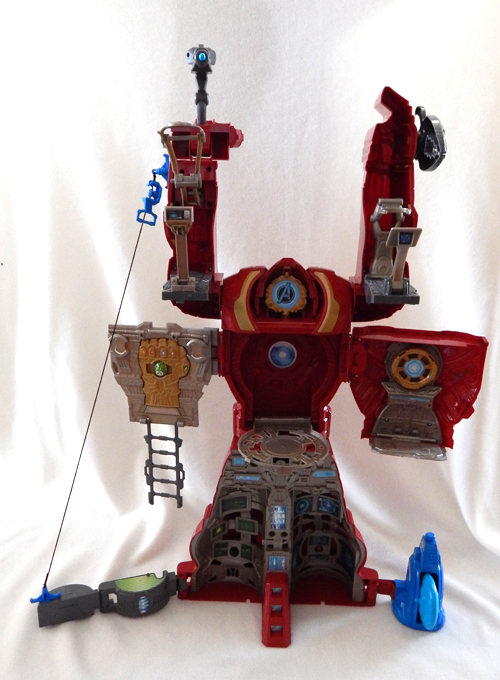 Lift the arms up and then open the chest plate to reveal multi-levels of play. Launch projectiles from the top of the tower, or capture unsuspecting villains in the trap claw. The towers let your figures stand ready for battle. 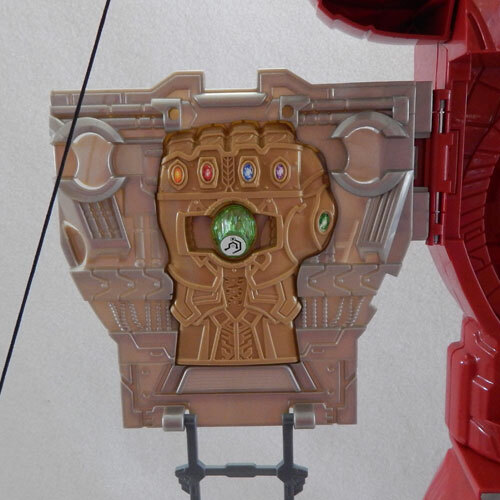 The “Marvel Avengers: Infinity War HQ” comes with a green infinity stone that can be stored 4 spaces. Three on the chest plate and one behind the Avengers sign in the head area. The infinity stone can be difficult to remove at first, especially for little fingers. 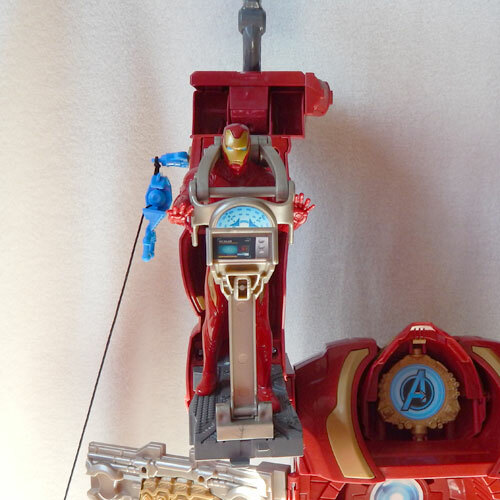 The playset does not come with any action figures, but is suitable for any of the “Avengers: Infinity War” 6-inch scale figures. 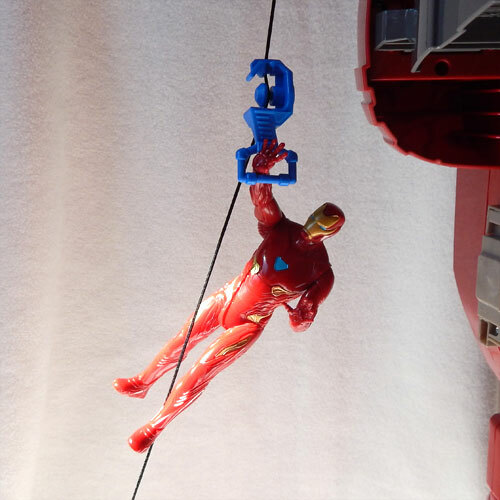 Let your figure zip down into the action using the zip-line. There is a containment chamber in center. Not only can you use it to contain the Hulk, but we also store the projectile launcher, zipline and roto-blade inside for storage. This toy is large and impressive and there are no loud sound effects, or lights. It encourages imaginative play and is big enough that two children can easily play together. This didn’t hold my son’s attention for long, perhaps because we only have Ironman and Thanos figures to play with and he isn’t familiar with the Avengers Infinity storyline. He was disappointed in the “2-in-1” feature. 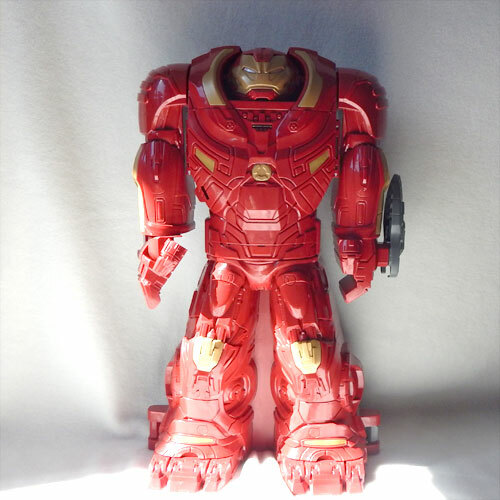 The Hulkbuster figure seems to be just for display and not really an action figure, but more suited for display. 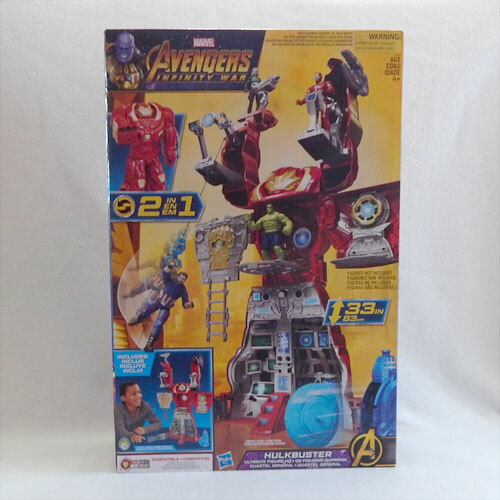 True Avenger fans will enjoy playing and displaying the “Marvel Avengers: Infinity War Hulkbuster Figure HQ”. 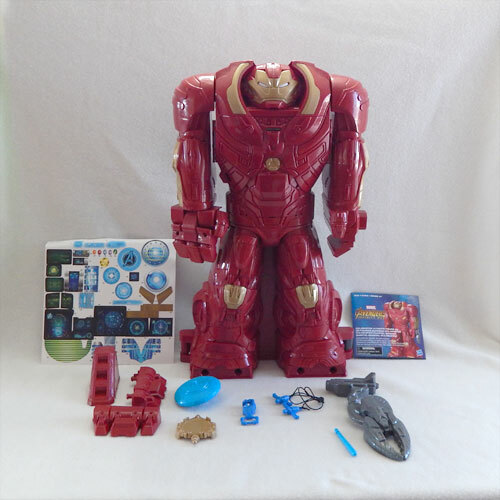 *Disclosure: I received a complimentary “Marvel Avengers: Infinity War Hulkbuster Figure HQ” through the Amazon Vine Program in exchange for my review. All opinions are 100% my own.